@DiardanRose, here is your OC request! 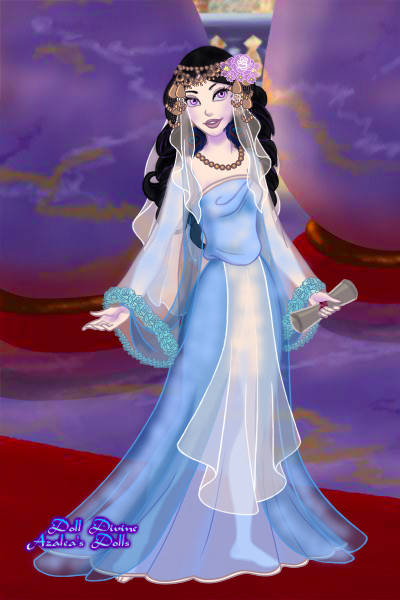 This is Na'amii, a priestess serving in the Imperial City's temple, primarily in the archives where the sacred texts are copied and preserved. She has a curious nature, which sometimes keeps her from her duties, instead leading her down a winding road of research and discovery. Oh my gosh she's so pretty! Thank you so much! I love her story, too just what I was thinking of. Thank you, lovelies!! I was afraid she turned out a little plain, but I hoped the shading made up for it. That hairpiece is divine,but'm most impressed with the cleverly made scroll! OMG the jewelry! Again, this lady is simply gorgeous!! I wish I had half your talent with iridescence! And the scroll is so clever!